On a pretty regular basis, some charity or other does something that brings in megabucks. Today that charity is ALS with the ice bucket challenge. It’s wonderful that an organization can raise tons of money. And so every other organization out there is looking for theirs. This isn’t a blog about whether your organization should or should not look for a great gimmick. But it is about the fact that this is transactional fundraising, which is neither a good nor a bad thing, but is a thing that is hard to sustain and even harder to grow. 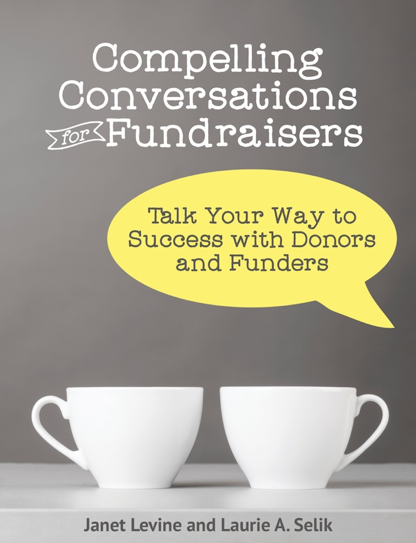 When fundraising is transactional it is focused on bringing in money. Period. It is fundraising in its purest sense. The money that is given is mainly because of the action—ie: dousing oneself with ice cold water—rather than the cause or the organization. And because of this, it is very hard to maintain. More than half the people who make a charitable gift in this way never, ever give a second gift to the organization. Fundraising that is built on relationships, on the other hand, works toward building committed supporters. It focuses on developing partners—hence, the term development—rather than on money. Ironically, it typically brings in more money than transactional fundraising, and it brings it more reliably. Both types of bringing in support can be important. A strong organization knows that success in raising money relies in large part in having a broad base of funding sources. But organizations that grow and thrive understand that more effort needs to be spend on building strong relationships than on transactions. Why relationships? Because the time you put into them will pay you back many times over. Instead of a one-time gift, you can create a committed donor who may also make an ultimate gift by leaving you in their will, making you a beneficiary of an insurance policy or retirement plan….or create a trust that will ultimately benefit your organization. Before that ultimate gift, however, committed donors support what you do on an ongoing basis. They ensure that you always have the financial wherewithal to accomplish your mission. They help you to prosper and benefit your clients and your community. Committed donors are also more likely to make transformational gifts. You know—larger gifts that allow you to create new programs, hire additional staff, build new buildings or renovate old ones. They get you to that next step—and then they stay committed and help you to continue doing the important you do. Transactions bring in important funds today. But we don’t usually connect with those making the gifts. When we do, we often find that our mission, our cause, our organization are not important to them. It is the event, the activity, or a connection to someone totally outside of what you do that brings them temporarily in. We thank them. We appreciate them. We should try to now build a relationship from the transaction. And that building is really the importance of the gift that they have given, and the gift you can offer to them of now getting involved with your fabulous organization and continue helping you to do great work. Janet Levine works with nonprofits helping them to build their fundraising capacity by creating strong relationships and energized boards. Learn how she can help you at www.janetlevineconsulting.com or email her at janet@janetlevineconsulting.com. This entry was posted in fundraising and tagged committed donors, cultivation, development, donor retention, fundraising, relational fundraising, transactional fundraising, transformational gifts. Bookmark the permalink.